Let’s be honest. Going to the dentist isn’t any fun for you or your pet. Just like your pet, you’d rather be walking in the park or having fun with your friends and family. You go to the dentist because it’s important for your overall health. It’s the same for your pets. They need regular dental care just like you do. When you brush your pet’s teeth, use dental rinses, and give them dental chews and chew toys, you do your part to help keep their teeth healthy and strong. It’s still important to bring them in for regular dental cleanings and check-ups. At Hebron Veterinary Hospital, our experience teaches us that regular pet dental care is a critical part of your pet’s health care regimen. 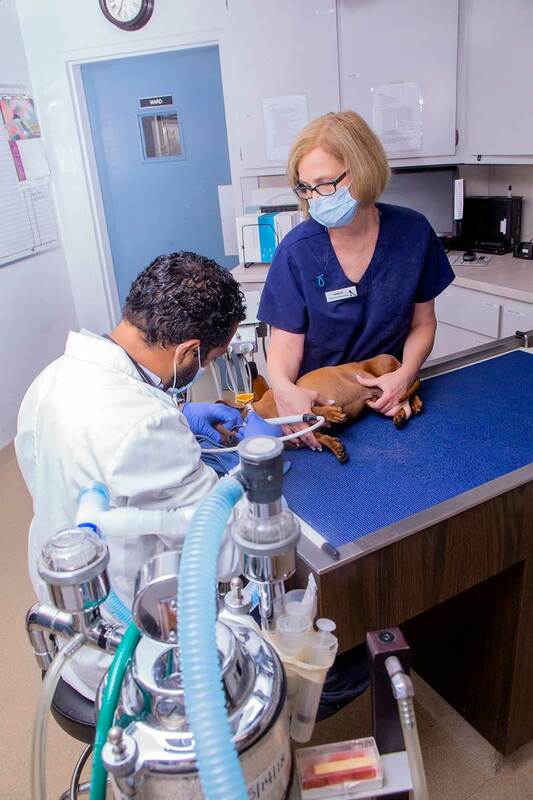 We use state-of-the-art dental equipment to examine your pet and diagnose and treat dental conditions. Our staff has the specialized training and experience to perform the critical dental care services that keep your pet’s smile beautiful. We help maintain their dental health by performing these and other services. When your pet has problems with their teeth or gums, you may notice the way it affects their breath. That “doggie breath” odor is an important sign that your pet may have periodontal disease. Cats have the same issues. Unfortunately, the disease is a common problem. By the time your dog or cat is a few years old, they’ll likely show signs of a periodontal gum infection. The bacteria is present in 70 to 80% of pets in this age group and older. To reduce your pet’s chances of developing a serious health issue, it’s important to schedule a pet dental care visit when you first notice bad breath or any of these signs of dental disease. When left untreated, periodontal disease causes tooth loss. It also spreads to your pet’s heart valves, liver, kidneys, and other vital organs. These conditions are life-threatening for your pet but you can help prevent them by scheduling regular pet dental care visits. 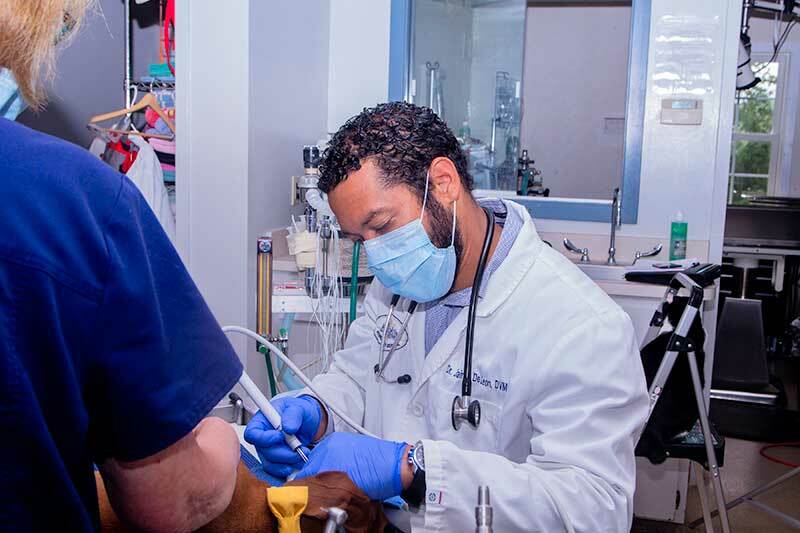 At Hebron Veterinary Hospital, our staff is committed to keeping your pet’s smile bright, beautiful, and healthy. We understand that pet dental care isn’t as much fun as playing in the park. That’s why we do everything we can to make your pet’s experience pleasant and comfortable. It’s part of our commitment to treating you like family and giving your pet the best care possible.